Hi Everyone! Yay! Its time for another stamp release!! Here is the first one being revealed over at Jaded Blossom today! PUPPY LOVE!! 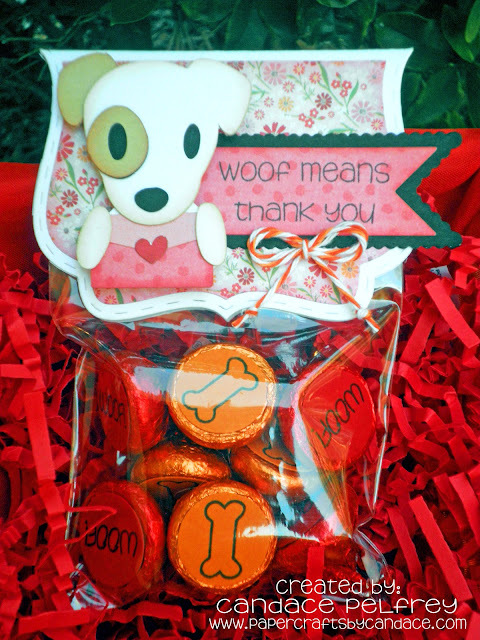 And here is what I created..
"Woof means thank you", "woof" and the bones on the bottom of the hershey kisses are all from Puppy love. I also used the Fancy Topper die, Flag Die 1 and 2 and the 3x4 clear bags. This adorable pup is from SVG Cutting Files "Jack Russell Terrier Letter"
I also used Trendy Twine Orangesicle. Thanks so much for checking out my project today! Make sure to head over to Jaded Blossom to see what the rest of the Design Team has come up with! So Cute. Love how you take pictures of your projects. Such a cute topper, gr8t sentiment too! How sweet. Love this treat. Love the doggie. 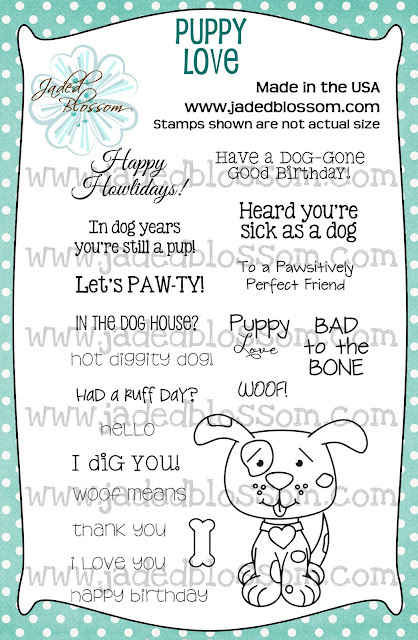 Adorable diecuts and it fits perfectly with your adorable pup stamp and topper die. Such an awesome treat bag! Love the choc kisses inside with the bones and the adorable puppy...so cute ! This doggie is perfect for this new stamp set! Love it!! This is adorable, Candace! What a darling pup - and such fun little chocolate bottoms too! Sweet sentiment as well! Your little puppy is just adorable! Love the paper and everything about it!